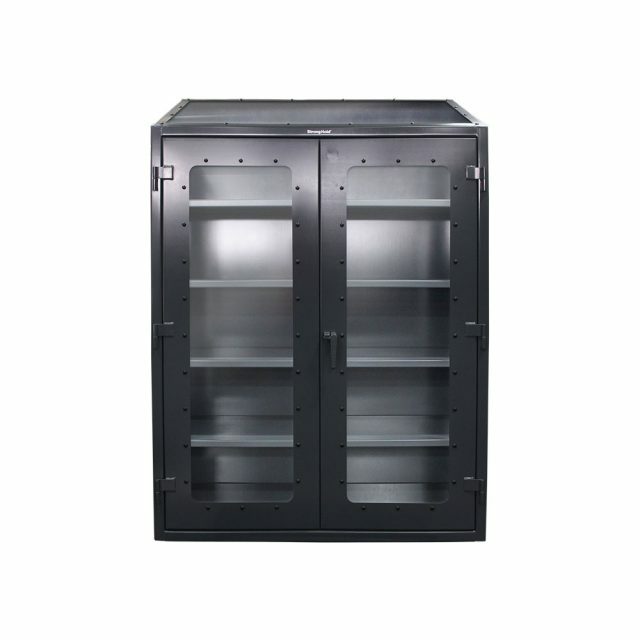 Our standard heavy duty 12 gauge see-thru cabinet. 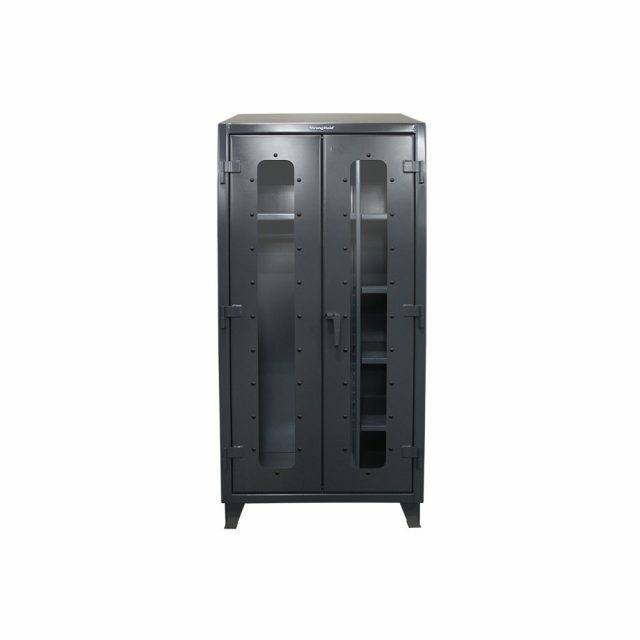 This includes 14 gauge shelves that can be adjusted in 2 inch increments. 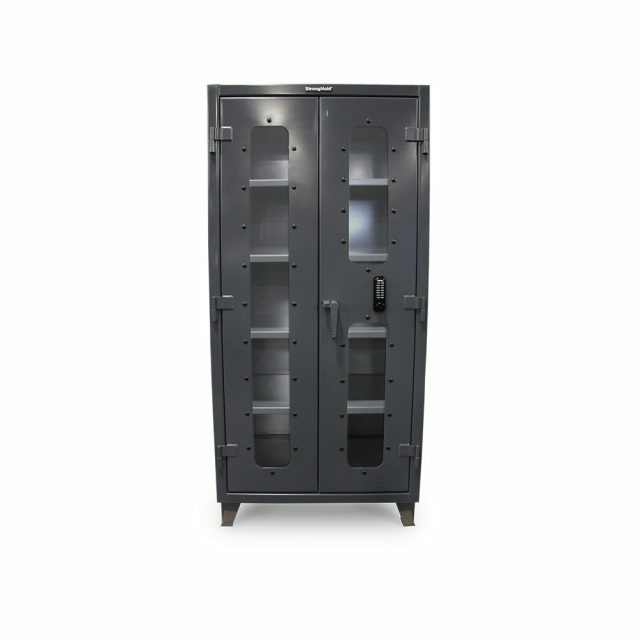 3-point locking device can be locked with a standard padlock. 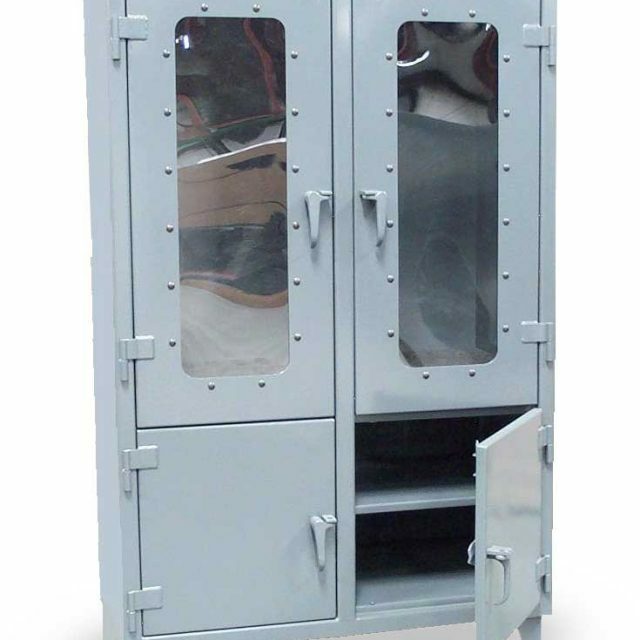 These heavy duty See-Thru Door Storage Cabinets are the visible and secure way to store equipment. 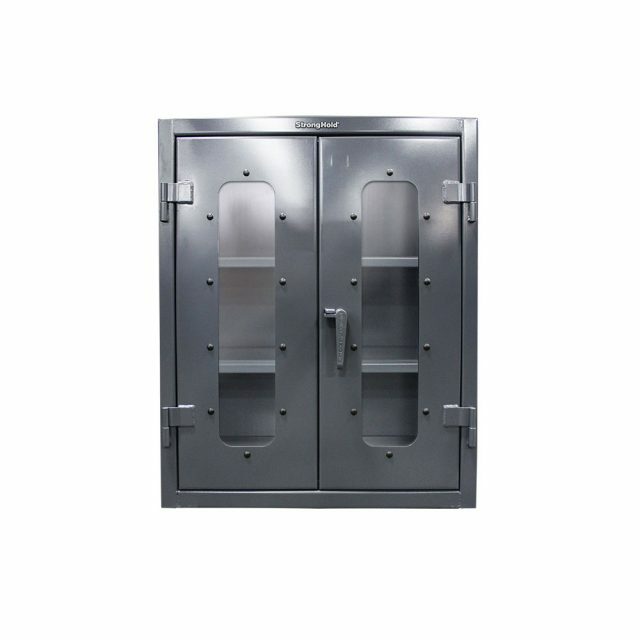 Clear View doors allow for viewing items stored inside, while keeping them locked up and secure. 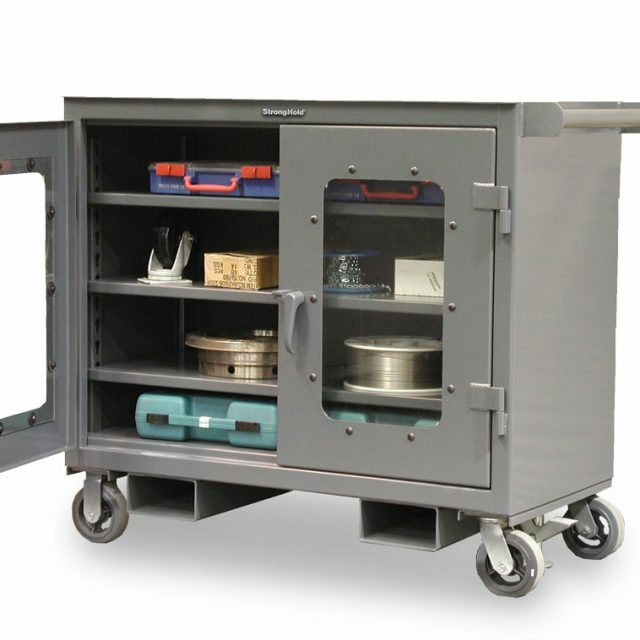 Manufactured from 12 gauge steel and all-welded wrap around body construction, these units are designed to last a lifetime in today's rough and rugged manufacturing environments. 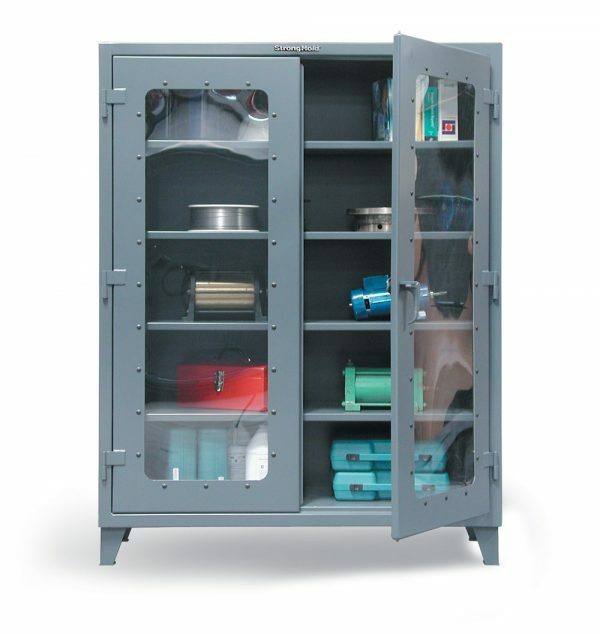 Features of these cabinets include: adjustable 14 gauge shelves with up to 1,650 lbs. 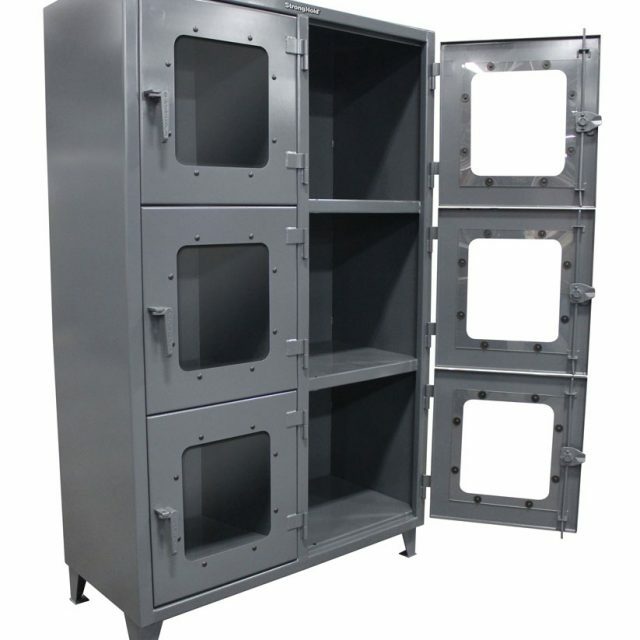 capacity per shelf, each shelf can be adjusted in 2 inch increments, and are 21.5 inches deep. 5 ft. tall models include 3 shelves while 6 ft. tall models come with 4. More shelves can be added for versatility. The 3-point locking device includes a hasp built into the handle for use with a padlock. 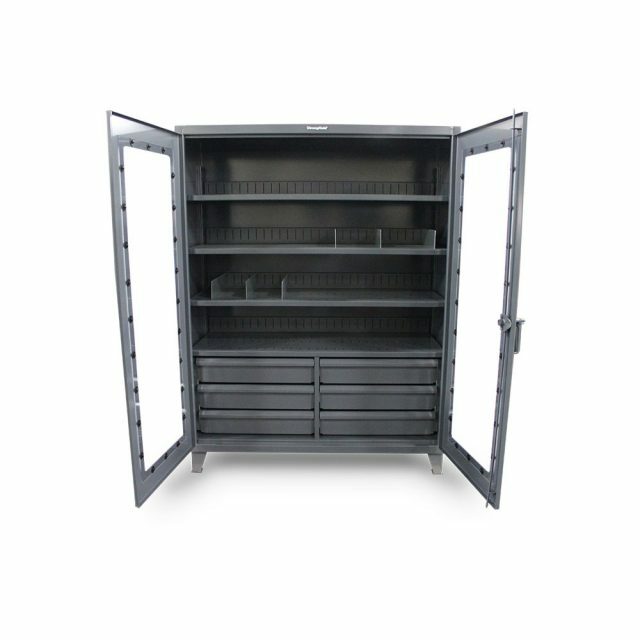 These cabinets are 24 inches deep to provide the storage without taking up too much of your valuable shop floor. The 6 inch tall 7 gauge legs are welded to provide mobility in lifting in order to move from one area to another. 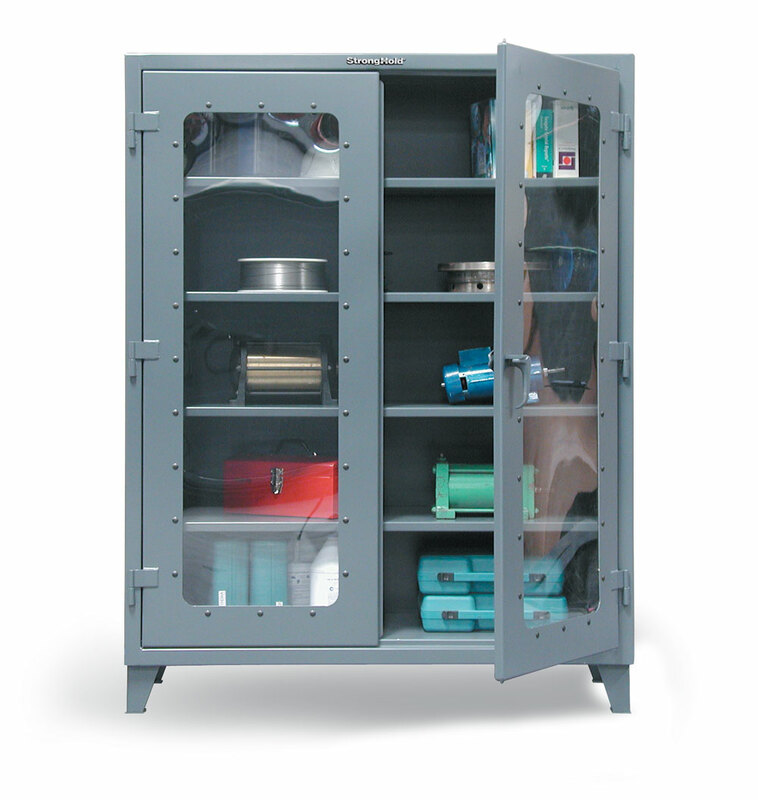 See-Thru Door Storage Cabinets are built for rough and tough industrial use.